So what happened on the first day of KLFW 2016? 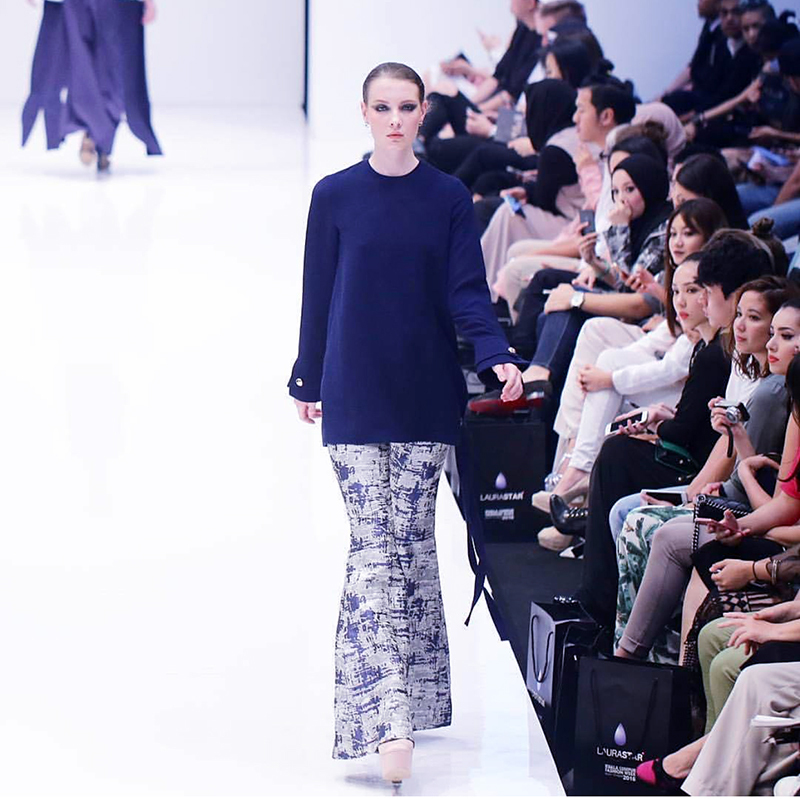 aere's second fashion show at KLFW 2016. And after that, a mad rush to change to attend another fashion show at night! 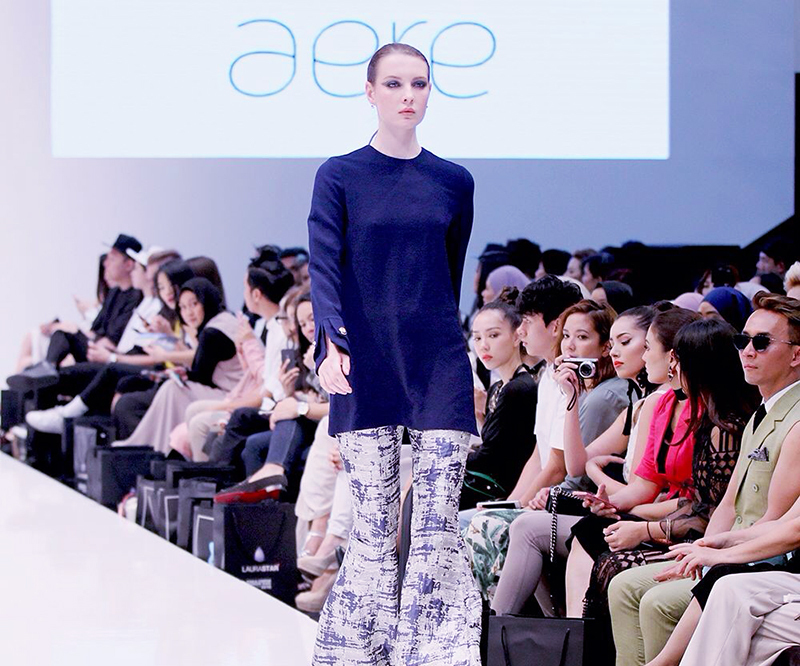 aere's show was the opening 3.00pm show on the first day of KLFW 2016. So unlike last year, this year I could attend all the shows that I was invited to by the other designers and labels. Some of the designers / brands that I invited to aere's show this year couldn't make it because their show was not yet done and they still had to prepare for it. I totally understand because last year, I couldn't attend many of the shows until aere's show was done and finished. Things get really hectic at KLFW. The last minute things that came up were endless. Anyway, these photos were taken the evening after the shows ended and we were about to leave Pavilion. I took aere's Look #3 that was displayed on the runway straight away after aere's show, quick interviews and meeting guests because I wanted to attend another KLFW show that I did not want to miss! (See post KLFW 2016: Innai Red Rio Bonito). I know I look tired here, so please ignore it because I literally only slept for less than 2 hours the night before aere's show, and I'm not going to even mention all the other sleepless nights I've had leading up to the show. Anyways, I wanted to wear something from the HOPE collection that I personally love. Below is the photo of the look at the runway. And here's me wearing the exact outfit Look #3 of aere's HOPE collection, straight from the runway. It's the exact same look. I paired aere's XERENA Double Cuff Side Way Adjustable Top with aere's NOVA Bell-Bottom Jacquard Pants. 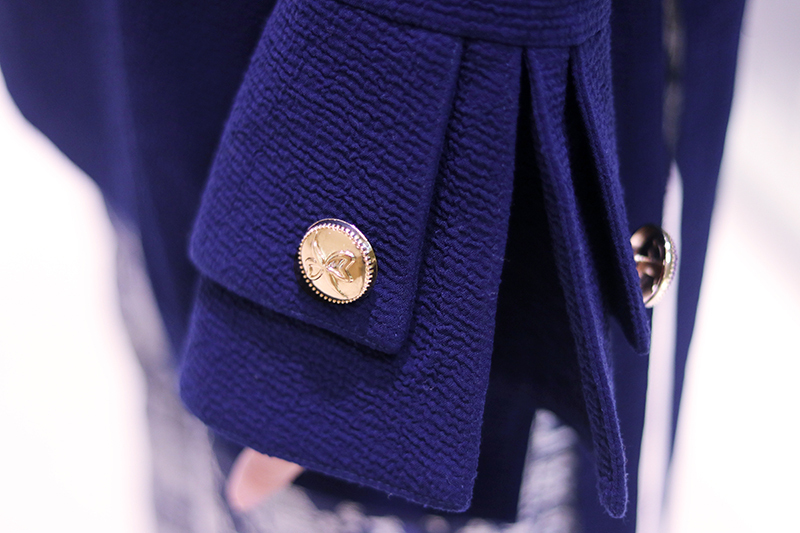 What I love most about XERENA is the preppy look, the textured material and the exaggerated double layered cuffs with aere's signature, but larger sized buttons. 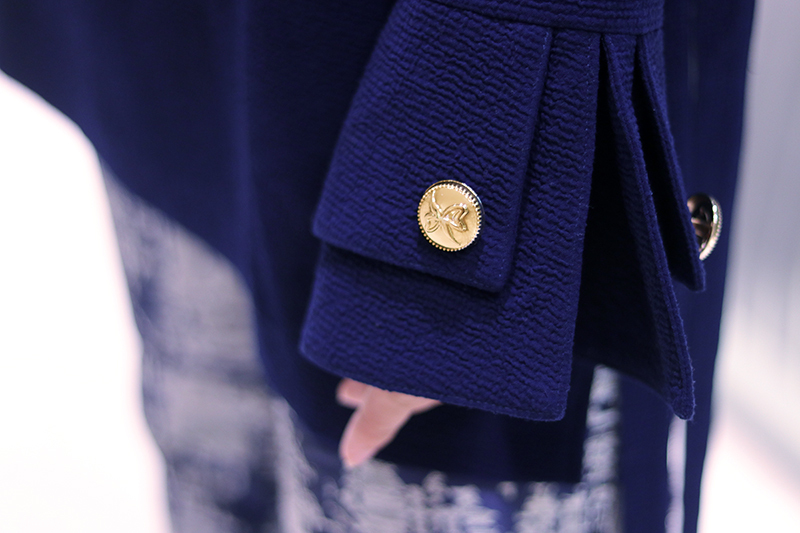 It's a little dramatic, but those that love the little detail will really like this top too. A little fun fact behind the name though. If you have ever watched Gossip Girl 9 years ago, you would understand why I say that this top reminds me of Blair Waldorf's character. However, the name of the top is slightly inspired by Blair's BFF, Serena van der Woodsen. So, yeah. That's why I chose the name XERENA for this top. I remember when aere was about to release the first collection 2 years ago and I chose the 6 names for the designs of the first collection. There were too many choices but I really wanted it to sound right. Since aere itself is a Latin word I wanted the names of the designs to be in Latin as well (or at least sound Latin). But man, now the choices are getting lesser and lesser since aere has been coming up with more and more designs for each new collection. I'm grateful though because that must mean that it's going in the right direction. God-willing, InsyaAllah. Anyways, back to the look. The NOVA! 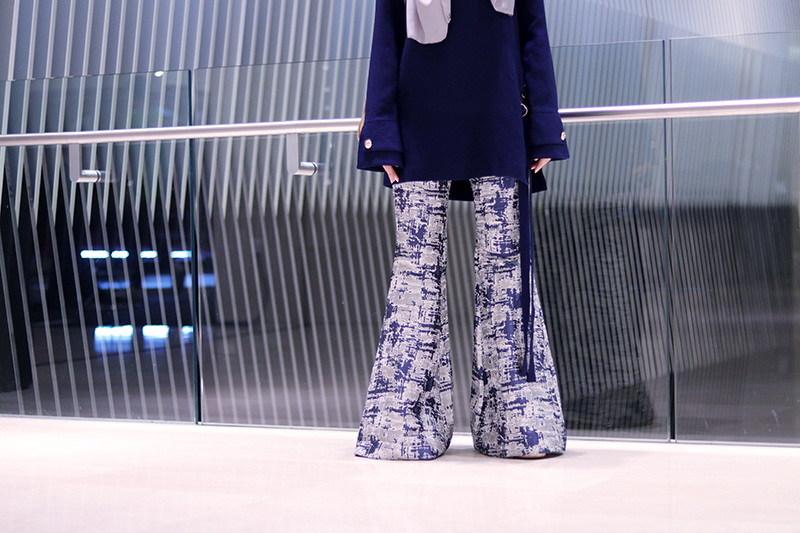 Of course the bell-bottom is one of my favourite type of pants since I was in high school! I can also remember seeing my dad's photos when he was younger wearing bell-bottoms in the 70s. It's timeless and I think it's time it made a comeback. To put a fresh twist and yet inject aere's DNA into the bell-bottom, the signature jacquard fabric used for the HOPE collection was the perfect choice to give that luxe feel. I topped off the look with a silver dUCkscarf to match the colours of the pants. A mixture of blue and silver which fits aere's HOPE theme perfectly. You wear it as good as the runaway model!